isn’t supposed to now or maybe not at all. I wish I could turn off that I care. their sorrow, grief too heavy. tooth & a love of chai. Your beloved, to Your side. I’m tired. I am weary. what I want, You are still good. child, I’m still with you. As soon as I saw Kate’s book, I knew I wanted to read it. Not just because the cover makes me remember the first time I went to visit a friend in Texas. Or that I’m captivated by how the sun looks, It was title and the blurb of how she struggled with her parents divorce and the longing for home. I felt interested that maybe someone could put to words what has been hard for me. She did. 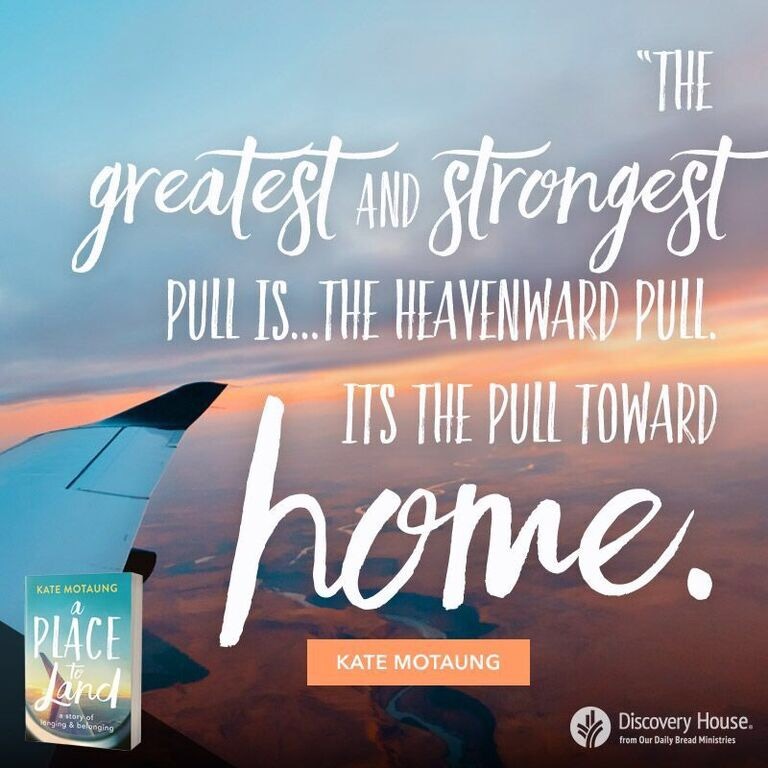 Kate Motaung’s memoir, A Place to Land tells her story of her struggle growing up torn. From her parents divorce when she was young and all that went along with that. Two separate houses. Holidays. Friends that had married parents. To moving to Cape Town, South Africa where she met her husband and the longing for there and home in America. Kate also tells of her mom’s battle with cancer. I had a really hard time reading parts where she longed to be with her mom, but couldn’t be because she was on the other side of the world. Her bond with her sister, Sarah during this time was fascinating to me. Through all of the stress and just complete overwhelm during that time and even after, the bond between them only strengthened. Through all these changes, Kate’s faith remained steadfast. The way she cried out to God with each new change gave me hope. Her story gave me hope that God does hear us when we call to Him. He comforts us when things are hard and loss is heavy. God remains faithful through all things. I learned a lot about South Africa culture while reading this book. Table Mountain sounds really cool to look at in person. 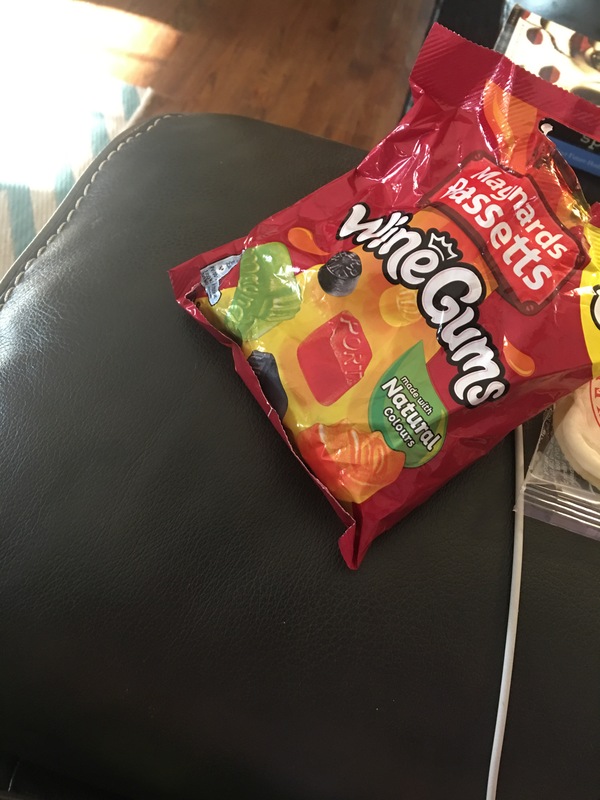 Wine Gums are not anything to do with wine, but are fruit flavored gummies that taste really good. I even asked two friends about them who live in Cape Town about them and took the plunge to buy them. Also, Sweppes isn’t ginger ale like it is in the U.S, but seems like it would be good to try. I also learned Rand is African money, tripe is the second stomach of a cow (yes, I know a really random fact, but I never knew.) and vulvuzelas are plastic horns. I loved Kate’s writing throughout the book. It felt like I was sitting down with a friend, listening to her tell me her story while being reminded of God’s faithfulness again. That He is the giver of all things and where we find true belonging. this book will bring hope and comfort. It definitely has to my heart. Read a free chapter ﻿here﻿. You know the truth. I’m not. I’m sad. I’m angry. I’m tired. Any right to grieve what are shadows. In my head: how could you not know? hold out such hope, be kind? Are you mad? PS. Because I still yearn for a physical person to hold me while I cry. The Word was standing right before them. until it comes up again. And again. Again. You wipe my tears up for good. You got too honest again. Thank You, Lord, she listens & for bringing her into my life when You did. And for Your love – patient & kind. Send me word of Your love tomorrow. It is unfailing. This I know. This week has had one of those starts that makes me want to cry with gratitude at how God loves me and carries on with watching how he loves others. Protects. And everything feels fragile and overwhelming. And I’ve watched myself just be stunned and lost and speaking words that are filled with gratitude. And some not so helpful. But God. He doesn’t let go. Ever. Ever. He gives glimpses of where I’ve been and how in that time, it was dark, lonely, confusing, aching, but He was and still is working everything out for good. And I’m holding on to that tight today. And everyday until I see light.